Marvin Lewis was hired to be the Head Coach of the Bengals on January 14, 2003. More than fifteen years later, he is still wearing the headset on the Cincinnati sideline. His tenure has seen 125 wins, seven playoff berths, and four division titles. Despite consistent regular season success, Lewis has failed to win a playoff game, a fact for which he receives his fair share of criticism. After back-to-back losing seasons, many are shocked that Lewis was granted a two-year contract extension. With a very similar roster to last season’s, the Cincinnati Bengals betting odds should make football bettors feel quite comfortable as they will know what to expect. Quarterback Andy Dalton and his #1 wideout A.J. Green entered the league in the same year, 2011, and became instantly successful. Tossing for at least 3,200 yards and eighteen touchdowns in each of his seven seasons, no one doubts the ability of Dalton during the regular season. Experts do, however, peg the quarterback as someone incapable of winning the big game, citing the fact that he has lost all five of the playoff games he has appeared in. In the same boat as his quarterback, A.J. Green has put up very strong regular season numbers but has nothing to show for it. With at least 1,000 receiving yards in six of his seven seasons, Green is a top-10 talent in this league. Bengals Director of Player Personnel Duke Tobin could get a lot for Green should he trade him, so the Bengals need to perform on the field if they want to hold onto their star. The Bengals’ pass defense has quietly been one of the toughest in the NFL in recent years. Ranking eighth in passing yards allowed in 2017, the Cincinnati defense is returning their key players and looks to be primed for another strong showing. It all starts on the defensive line, and the Bengals have two men who excel at pressuring opposing quarterbacks. Defensive end Carlos Dunlap recorded 7.5 sacks and 46 tackles in 2017. Alongside of him was Geno Atkins who equaled Dunlap’s tackle numbers but added 1.5 extra sacks. Having to release the ball earlier than they would have liked, opposing quarterbacks then had to worry about two very solid cover men in the Bengals’ secondary, Darqueze Dennard and William Jackson. Grading very well by Pro Football Focus, each of these ballhawks could flip a game on its head with one jumped route. As a result, opponents tended to avoid these corners by either throwing over the middle or running the ball. Because these plays tend to be more physical, the Bengals have developed a reputation as one of the fiercest and hardest hitting teams in the NFL. The Cincinnati Bengals betting odds to win Super Bowl 53 are listed at 100-1. If you would like to bet on the Bengals and follow them throughout the season we will deliver you game analysis, matchups, and injury reports all season long right here in one convenient location. Here at SkyBook, we pride ourselves on being the best NFL sportsbook for all your football betting needs. 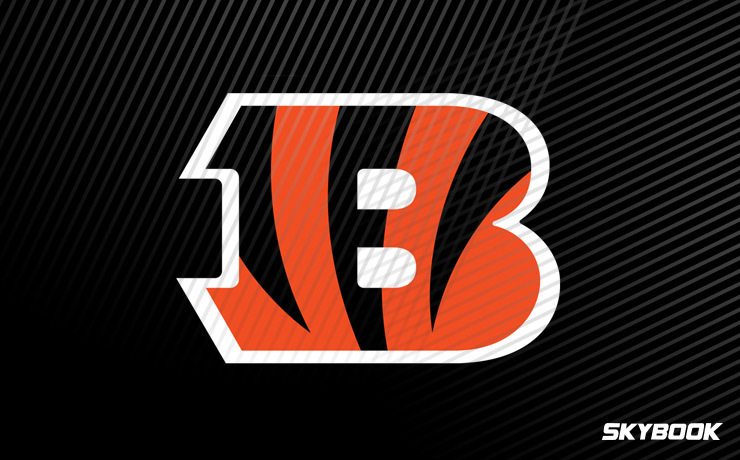 We offer the best Bengals content and odds along with great bonuses that you will not find elsewhere.